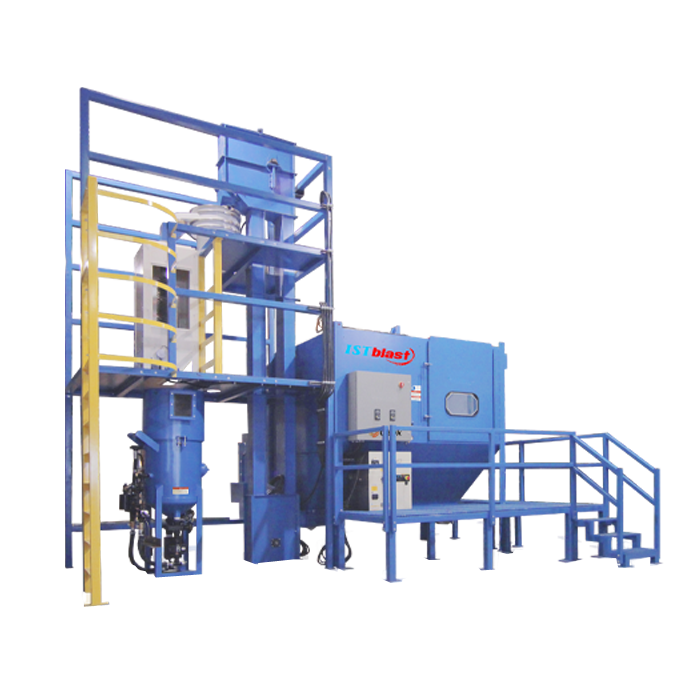 Shot peening is a technique that consists of high-speed (as fast as 100 meters per second), repetitive propelling of steel, glass or ceramic microbeads on a metal surface, modifying its mechanical properties and producing compressive residual stress layers. Upon impact of microbeads, with each particle functioning as a ball-peen hammer, the metal modifies its structure and increases its fatigue life up to 1000%, depending on the part geometry, part material, shot material, quality, intensity and coverage. This process is widely used in industries like aviation, aerospace and automotive to replace tensile stresses on existing units or to increase service life of components such as gearboxes, drive/crank shafts, springs and turbine blades/components. Drive components (i.e. gears) are often subjected to shot peening in order to induce compressive stress, which considerably reduces the risk of fatigue cracks during operation. Pneumatic projection: microbeads are mixed with compressed air and are propelled on the work piece by the operator using a flexible blast hose. This process can take place in a blast cabinet and has the advantage of being accurate. Mechanical projection: in an airless shot peener, a wheel spins at very high speed and microbeads are introduced into the center of the wheel where centrifuge force comes into play, projecting them onto the work piece at high pressure in a wide-curtain spray jet.